A taut, suspenseful, assured literary debut that explores the dark side of desire and ambition through one woman’s calculated entry into an elite world and a destiny of her own design. ON A BITTER WINTER’ S NIGHT, Frances Thorpe comes upon the aftermath of a car crash and, while comforting the dying driver, Alys Kyte, hears her final words. The wife of a celebrated novelist, Alys moved in rarefied circles, and when Frances agrees to meet the bereaved family, she glimpses a world entirely foreign to her: cultured, wealthy, and privileged. While slowly forging a friendship with Alys’s carelessly charismatic daughter, Frances finds her own life takes a dramatic turn, propelling her from an anonymous existence as an assistant editor for the books section of a newspaper to the dizzying heights of literary society. With her unforgettable protagonist, author Harriet Lane draws readers into a tightly paced tale that careens towards an audacious ending. Transfixing, insightful, and unsettling, Alys, Always drops us into the mind of an enigmatic young woman whose perspective on a glamorous world also shines a light on those on the outside who would risk all to become part of it. Harriet Lane has worked as an editor and writer at Tatler and the Observer. She has also written for the Guardian, the Telegraph, and Vogue. She lives in London, England. 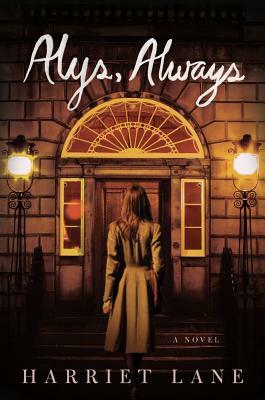 Alys, Always is her first novel. "Controlled and precise, Lane’s writing bewitches with its undertones of implied meanings and carefully hidden secrets. This is a gem." "This novel begins with a bang and delivers all sorts of surprises, but manages some accute and moving observations.. .A very fine debut. Lane works out her dramatic premise with great originality." "Wonderfully observed...This is a gripping, psychologically complex achievement, whose greatest success is its lingering sense of unease." "Exceptional... In Frances [Lane] has created a character Daphne du Maurier might have been proud of: vulnerable, manipulative, resourceful, chippy, but one of us." "This chilling and accomplished debut is in classic Ruth Rendell territory. Crucially, the author knows the trick of what to leave out, and of how to tantilise." "A superbly disquieting psychological thriller... Lane is a formidable wordsmith, and the literary world is conjured up in all its delicous, gossipy hierarchy.... Mordantly funny, yet chilling, this tale of an ordinary woman inveigling her way into a position of power is compulsive reading." "Superbly, even poetically written with an almost feverish hyper-realism, this All About Eve for our times misses no telling detail... A brilliant idea, brilliantly realized. I loved it, loved it. I've run out of superlatives and all that remains to say is that I wish I was you; I wish I hadn't read it and had that pleasure to come."